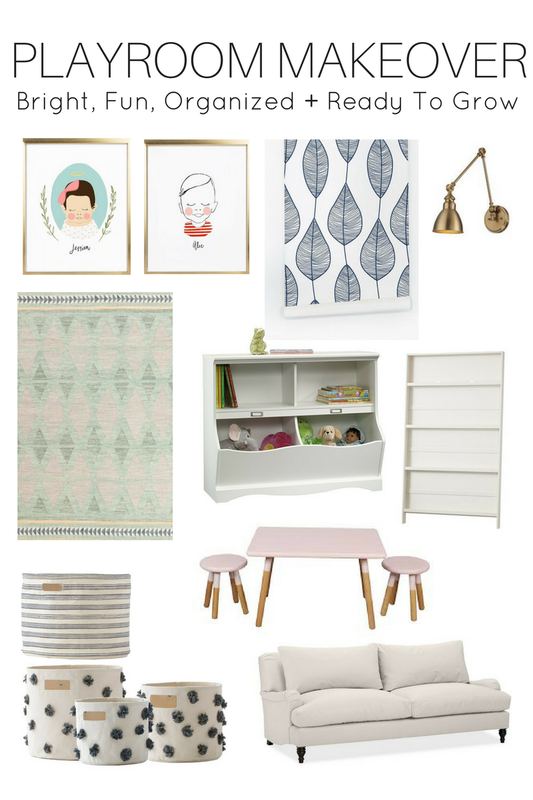 One Room Challenge: The Playroom! The room we've settled on as the Playroom is actually the largest in the house and what was intended to be a formal living room. I debated choosing this space but ultimately, it just made the most sense to turn it over to the offspring. The plan is to create a space that will grow with them, eventually becoming more of a hang out space and less of a toy corral. Because the space is actually a formal living room, I have some work to do on our fireplace to bring it up to date and make it less formal. The brass fireplace cover has got to go, mostly because I know someone will pinch their fingers in those hinged doors! Seeing as we're fresh off of a move into this house, the current playroom is a disaster. I mean, level 5 hurricane, hide in the storm cellar, get on an ark type of disaster. There are half unpacked boxes, toys strewn everywhere and probably a half eaten tub of Nutella somewhere. A lot of designing this space will revolve around organization solutions (and will include a lot of clean up by yours truly). Even though it's a kid's space, it is the first room you see when you walk in the front door, so I want to create a vibe that's welcoming, fun, playful and bright. And I need to do it all in six weeks! Let's chat about the inspo board! I'm using our large sofa for the space because honestly, that sofa is huge and only fits in that playroom! Normally, I wouldn't put a beige/khaki/tan sofa in a kid's room, but it is what it is and we're rolling with it. I've been longing to live in a house long enough (and without the intention to sell quickly) to put up wallpaper and this is the house! I can't wait to see how the wallpaper situation pans out, seeing as my husband is a little skeptical, but I know it will be so fun for the babes. I plan to set up an art station, reading nook and provide endless storage for toys - all of which will include a major purge during preschool hours - so I'm stocking up on bins, baskets and my beloved play room storage, plus I'm looking into display options for books and artwork. If I can pull this one off, it'll be a sight to see! If you're new to the ORC, make sure you take a peek at my past projects and my tips on how to survive the Challenge! Be sure to check out all of the other ORC designers here!